Panama—whether seen as a crossroad, a hub or a bridge –has developed into a trade and finance, distribution and logistics center for the entire Western Hemisphere. It is also the home base of three of the most important travel retailers in the Americas. Offering political stability, a central location in the Americas and U.S. dollar-based currency, Panama boasts one of the best economies in Latin America. Panama’s gross domestic product expanded 6.8% in 2014 and has outpaced all other Central and South American nations since 2012, according to the World Bank Group. The Bank is projecting growth of 7.5% GDP this year, the highest in the region. Panama is indisputably the business capital of the region. Safe, pro-business and tourist-friendly, it has a banking sector with more than 100 banks from 32 different countries and nearly $100 billion in assets. It is also home to more than 100 multinational companies. Travel to Panama is easy. Panama’s Tocumen International Airport handled 12 million passengers in 2014 and offers direct flights to more than 86 cities in the region. Capacity will expand further when the new South Terminal currently under construction is completed in 2017. Panama City’s gleaming skyline gives claim to the country’s first-class infrastructure, including high-speed internet and Central America’s first, and only, underground metro system – with a second line out to the airport to be completed next year. And then of course there is the Panama Canal, which celebrated its 100th anniversary in 2014. The canal, one of the busiest maritime routes in the world, is literally the gateway between east and west, connecting the Atlantic and the Pacific. The Port of Colon on its Atlantic side is the second busiest free zone in the world after Hong Kong, handling some $30 billion in annual imports and re-exports. Since Panama took control of the Canal from the United States in 1999, it has done an excellent job of running and expanding the operations. The country is now in the final stretch of a major expansion originally set to cost more than $5.2 billion, and which will, when completed, allow the passage of giant Post-Panamax container shops through the canal for the first time. This is the setting for Duty Free, which has a long tradition in Panama. Panama today is the headquarters of three of the most important duty free/ travel retail companies in the Americas. Motta Internacional SA –one of the very first companies in the Colon Free Zone –is credited with starting the duty free business in the Americas. The now legendary Don Alberto Motta began selling duty free liquors and perfumes to tourists more than 75 years ago as they traveled the Panama Canal back in 1940 and opened the first duty free store in the Western Hemisphere at the Tocumen Airport in 1949. The company continues strong today under the leadership of Don Motta’s son Alberto (Pancho) Motta Jr.
For Grupo Wisa’s Abdul Waked and his son Hamudi, the business is all about luxury. Another company that has been in business for more than 50 years, Grupo Wisa is one of the leading duty free operators in Latin America and its La Riviera perfume stores can be found in airports and the local market throughout the region. The Wakeds are now transforming prestige shopping with the opening of one of the most luxurious shopping venues in Latin America with its Soho Mall in the center of Panama City this summer. Duty Free Americas, owned by brothers Simon, Jerome and Leon Falic, may be the relative newcomer to the market, starting when the Falics bought North America’s leading travel retailer at the end of 2001. But they have steadily expanded the business and now have a major and still growing presence throughout Central and South America, the Caribbean and beyond. 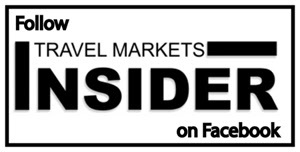 Travel Markets Insider presents each of their stories.